A Resin Body And Cap In An Array Of Colors, With Chrome Trim And A Steel Nib. 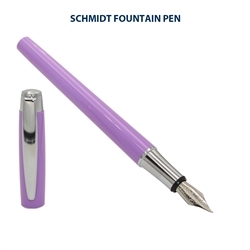 The culture of writing is celebrated by the use of the most precious writing instrument, the Schmidt Intrinsic Fountain Pen. Therefore, we don’t accept any compromise when the quality of your writing instrument is concerned. 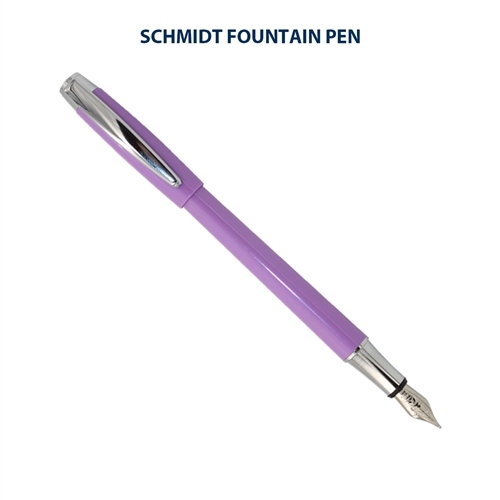 Schmidt Intrinsic Fountain Pen technology is offering a vast variety of choices for the design of your fountain pens. Schmidt Technology has a worldwide reputation for the smoothest stainless steel nibs in the industry. 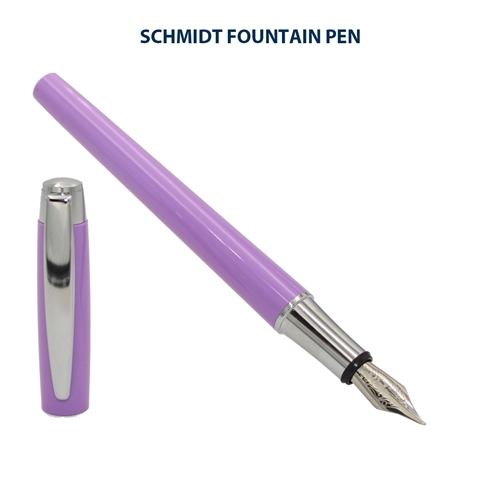 They have attached this medium nib to a basic pen body that comes in all these unique and beautiful colors.The Schmidt Intrinsic Fountain Pen features a resin body and cap in an array of colors, with chrome trim and a steel nib. 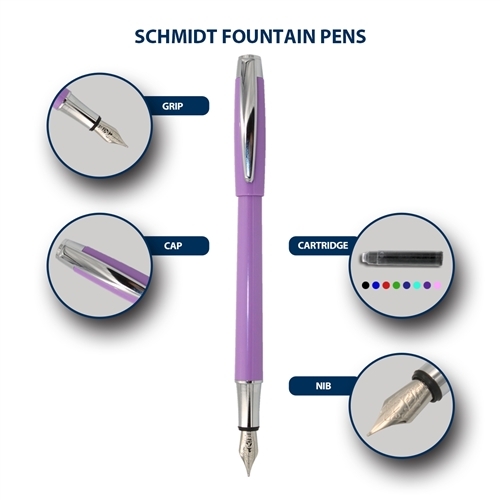 For decades Schmidt Technology has been developing and producing finest fountain pen nib units for the most famous brands of the world. Inspire someone else in your life to give fountain pen writing a try by adding lots of international-sized ink cartridges in all the fun colors. Fountain Pen With Equipped With A Steel Nib. Uses Standard International G3 Ink Cartridges.